FusekiGames has released their latest Dreamcast game, Matterrun. The game itself is a battle between the player and enemy Seekers, both of whom are racing to find Matter Canisters. The player must find them and dispose of them by returning them to the Disposal Ship, and the Seekers are collecting them to build their Mothership. 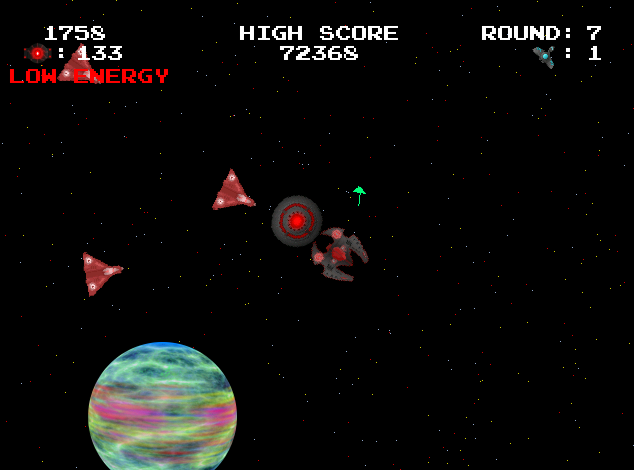 The player has a few powerups and the Concussion Wave weapon to help them with this task. The Seekers will attempt to steal any Canisters that the player has picked up. If the Mothership is constructed, it’ll hunt the player down ruthlessly and attempt to destroy it.